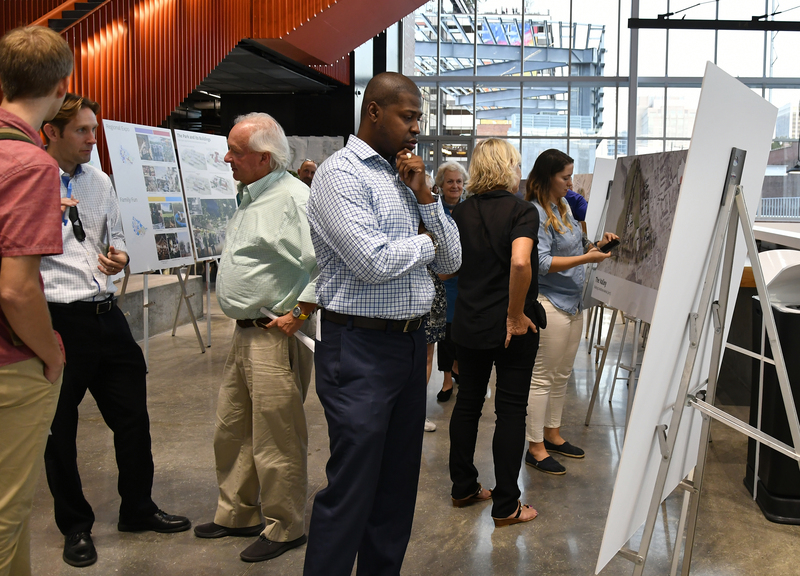 The fourth community meeting on the master plan for Dorothea Dix Park was held at the new downtown Raleigh Union Station on Thursday, October, 4. Over 600 community members were in attendance and able to give feedback on the next round of ideas by the design team, Michael Van Valkenburgh Associates. This meeting explored programming opportunities and a draft site plan which compiles ideas from each of six organizing themes that were the focus of earlier meetings. Planning for what activities should be in the future of Dix Park has been one of the most important topics for people through out the process. 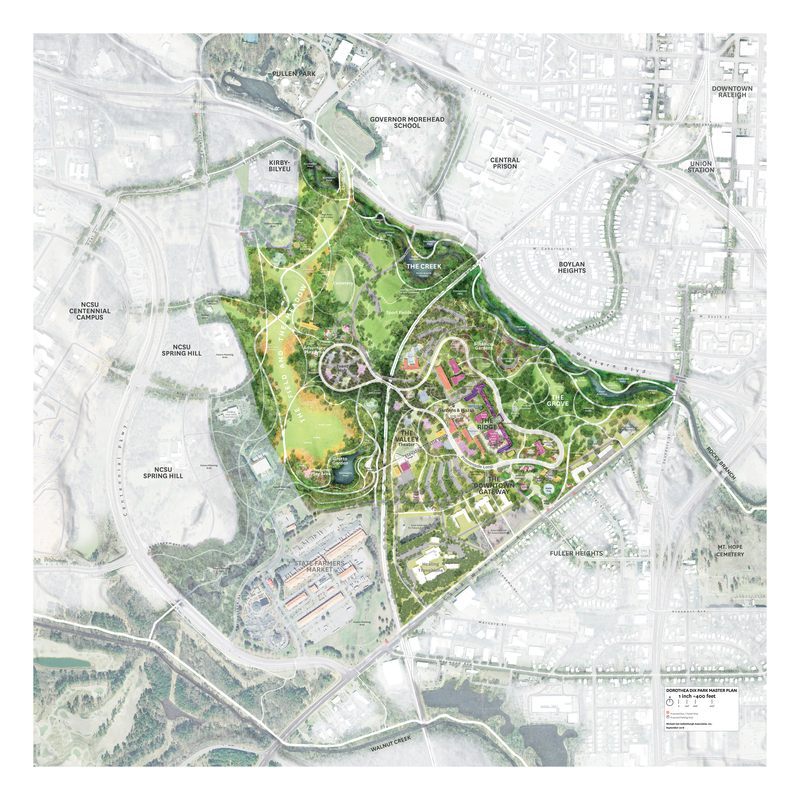 Making sure that there are opportunities for recreation, education and reflection for all ages, interests and abilities has been a priority for the community and is reflected in the draft site plan. View and download PDFs of the presentation and display boards below to learn more. As the Master Plan process draws to a close we still need your input. Go online to join the conversation about the most recent park designs. Please share this opportunity with your neighbors so this can truly be a park for everyone, built by everyone.